Our Design-Pro™ Collections in Oak and Mahogany are crafted to resemble natural wood graining. The high definition panels with wide profiles provide depth and authenticity to our fiberglass doors. They won’t warp, dent or rust. These doors are constructed with aesthetics, energy efficiency and low maintenance in mind. Find exceptional decorative glass designs, direct glaze options, Simulated Divided Lites, Blinds and Vents to create a stunning entry way and increase the curb appeal of your home. Our premium steel doors offer the strength and durability of steel in classic designs, creating an attractive side or utility door entrance. Primed and ready to paint, steel doors provide a great value. As the first and last impression, your door stands for your creativity and stile. Welcome beauty and quality to your home with Simpson's comprehensive collection of exterior doors. 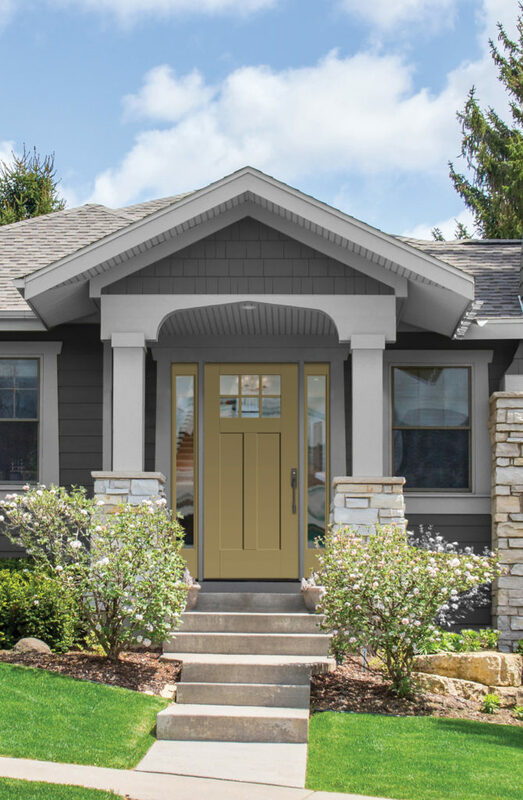 Simpson's comprehensive line of interior and exterior stile and rail doors includes hundreds of standard options from panel to French to decorative doors with matching sidelights and transoms. Wood doors give you the greatest versatility in designs, styles and sizes. Available in a variety of wood species and glass options, Simpson provides customers with the door they desire, whether it is a standard design or a one-of-a-kind custom door.